Mobile Marketing: A Key Part Of An Artist’s Success « .Evolving Music.
. 0 Comments Tags: artists, iphone, marketing, MobBase, Mobile, Mobile Apps, mobile marketing, mobile web, mobile web usage, musicians, NetMarketShare, Statista. With mobile devices currently accounting for 10% of web browsing, bands, artists and DJs without a mobile marketing strategy are missing out on a powerful way to interact with their most loyal fans. 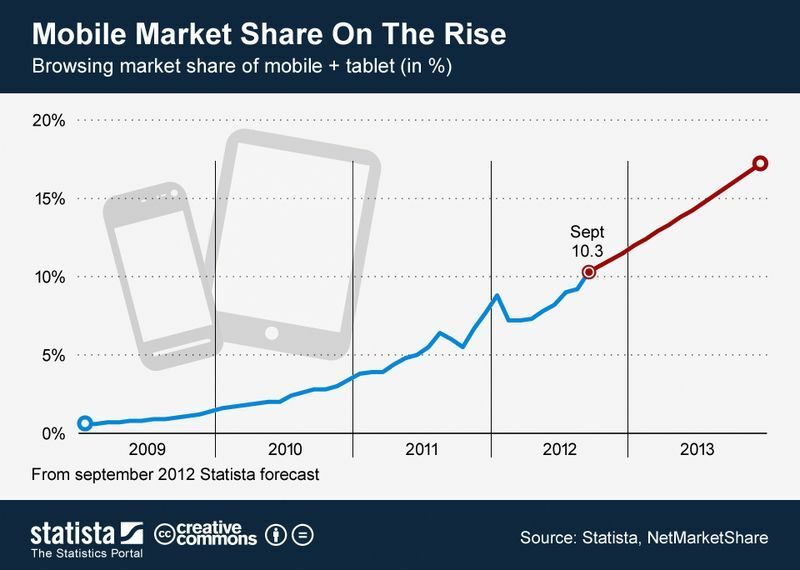 What’s more, based on Statista‘s projections of NetMarketShare‘s recent data on mobile web usage, web browsing on mobile devices will increase to more than 17% by the end of 2013. The point: launching your own mobile app is a key part of succeeding in today’s new music economy. Luckily, you can build your own mobile app for free with MobBase.